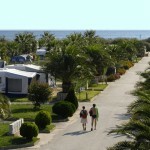 Campsite Las Dunas is a large, first-rate, very familiar campsite situated on the beach of Sant Pere Pescador. It has not only a wonderful beach, but also excellent facilities. 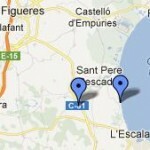 Next to the campsite is one of the largest soundproofed discotheque of the Costa Brava. 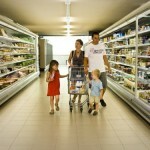 Recommended especially for families with children and adolescents. 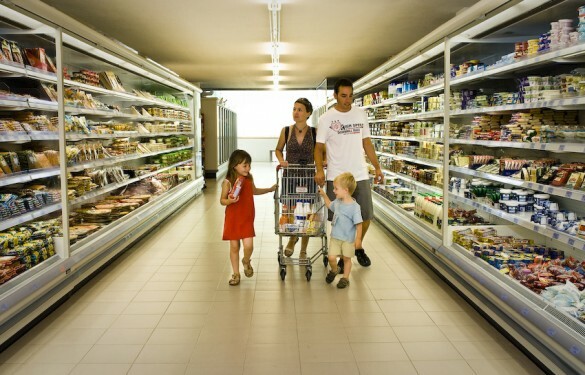 Installations: supermarket, bakery, restaurant, take-away, souvenir shop, bars, La Cova pub, swimming pools, laundry, car wash.
Services: ATM, safes, internet, private doctor in high season. 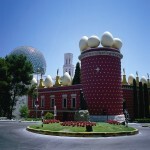 Sports: tennis, mini golf, soccer, basketball, playground, beach volleyball, windsurfing, bicycle rental. Leisure: game room, big screen TV, disco Fata, entertainment for all ages: children’s entertainment, shows and parties in the evening. 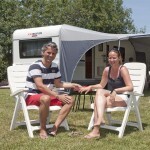 Campsite Las Dunas is a large well kept campsite, very much appreciated by its customers. It enjoys a great international reputation. 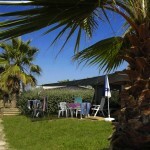 Located in an exceptional setting, with direct access to the beach, it is ideal for families with children. 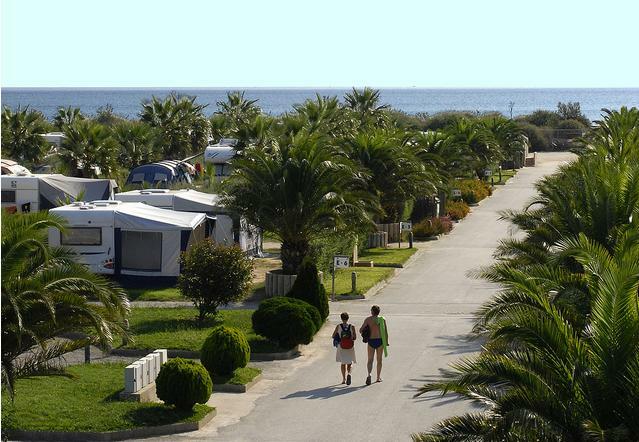 Our pitches are well situated, next to the beach or in the central part of ​​the campsite. 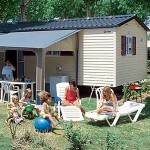 Rental rates include: rental of the caravan for 2 people, pitch, 1 car, electricity, gas and water. Campsite stay included. 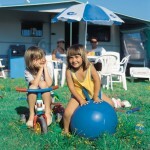 Tourist tax per stay: 3,50 Euros per person over 16 years, directly to pay at the campsite reception. The pitches we have at Las Dunas are all very spacious. 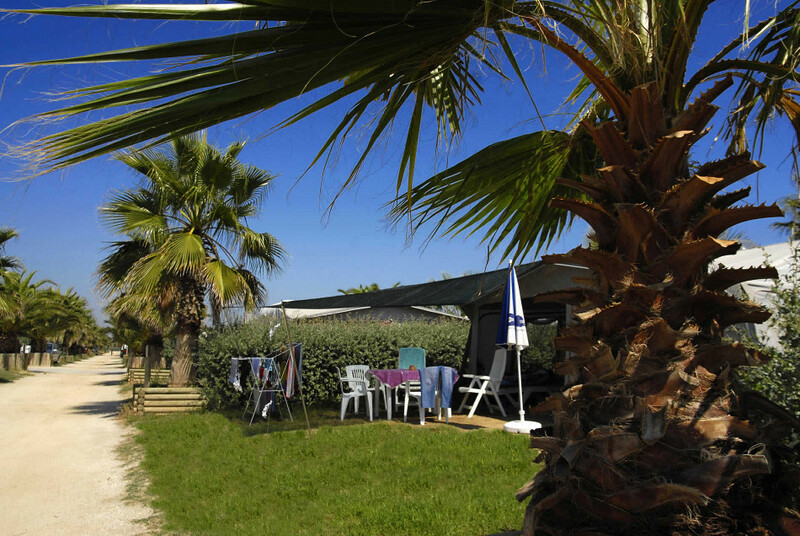 Some pitches are located direct at the seafront and others in the central part of the campsite, where the trees give partly shade. Pitches of 100 m2, bounded by hedges to have more privacy. Beach distance, maximum 125 meters. Water and water drainage at the pitch, electricity connection with 10 ampere. One bicycle extra included.